Soon, the fields at our summer place will be jeweled with Wild Strawberries. 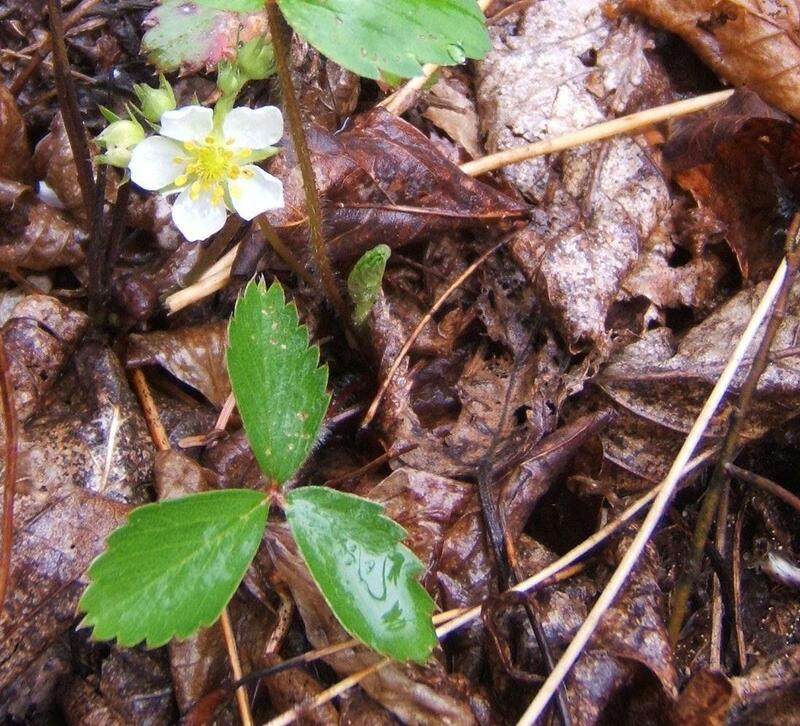 Wild Strawberry (Fragaria virginiana Duchesne) grows in open woodlands, fields and barrens. It is also known as Virginia Strawberry, Common Strawberry and, in French, fraisier. The name Fragaria comes from the Latin word for strawberry, fraga meaning fragrance. 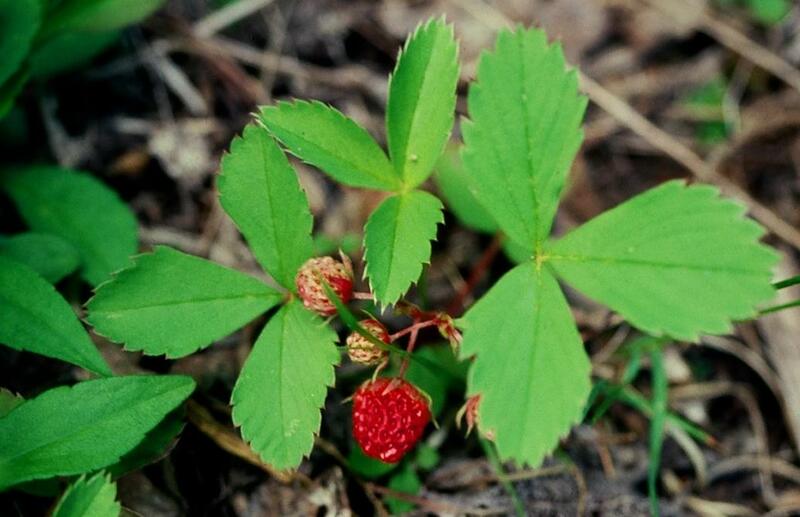 The leaves of Wild Strawberry grow on slender stalks, and occur in threes. They are hairy and coarsely toothed. Plants are stoloniferous, meaning they produce ‘stolons’ or runners, freely-rooting basal branches. The flower of the Wild Strawberry is white, with five petals and numerous stamens and pistils. Right now, our fields are spangled with them. The flowers occur in an open cluster of two or more flowers. In this species, the flower stalk is not longer than the leaf stalk. The berries are red and ovoid, covered with small pits and seeds. They are more delicate and sweeter than the domestic strawberry. They appear in late June and may last until August, but the best berry-picking is at the first of summer. 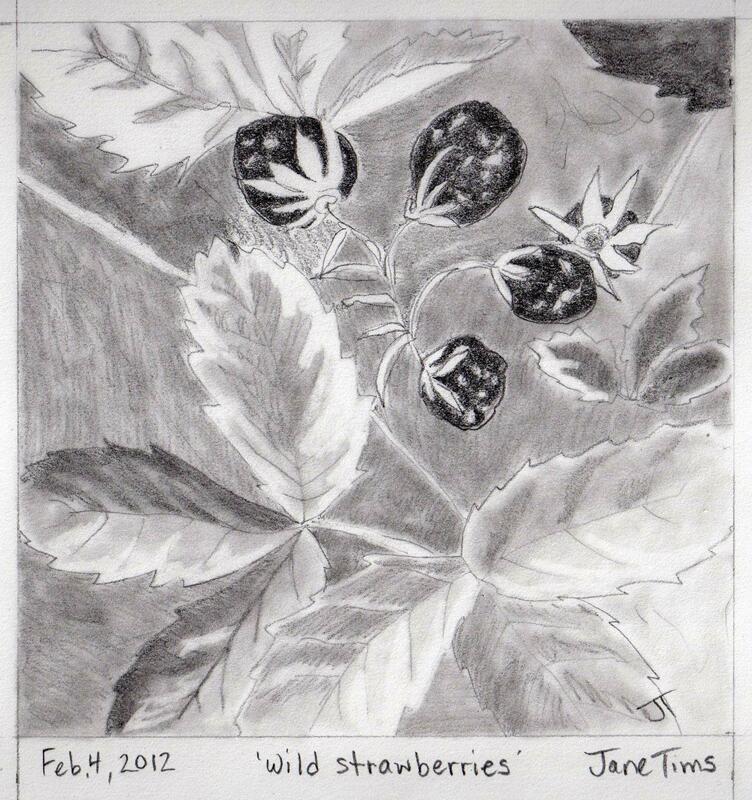 The berries of the Wild Strawberry are delicious in jam. The leaves also make a fragrant tea, high in Vitamin C. To make the tea, put a handful of green leaves into two cups of boiling water, steep, strain and enjoy! I remember picking loads of these when I was a child so that my Grammy could make jam. It took so many tiny berries to make each jar of the wonderful sweet stuff. Now, there are wild strawberries growing in my lawn…it is a wildish lawn, of sorts. Thanks for this reminder of those tiny jewels of summer. Lovely. For me, wild strawberries go hand in hand with the carefree feel of a warm, still day in early summer. Have your tried drawing them with your new red pen? Speaking of which, a cardinal is cheeping at me from the feeder as I type this. He would use up a great deal of your ink! Another quality post here, Jane! I’ve run across these in a park here in Ohio- very interesting, aren’t they? On our walk through the woods this weekend we saw tons of wild strawberry… Amazingly it kept wanting to grow up in the path. No berries yet up here. It was a gorgeous day for me…. I’m always looking for wild black cherry trees to see if I can get at least a bit … but haven’t seen any strawberries here like the one’s I saw in Mass. Good luck to you. It is the same here. The way things have bloomed this year, I am going to watch for the wild ones earlier. It is a little hard to predict when the berries will be perfect for picking. Jane.